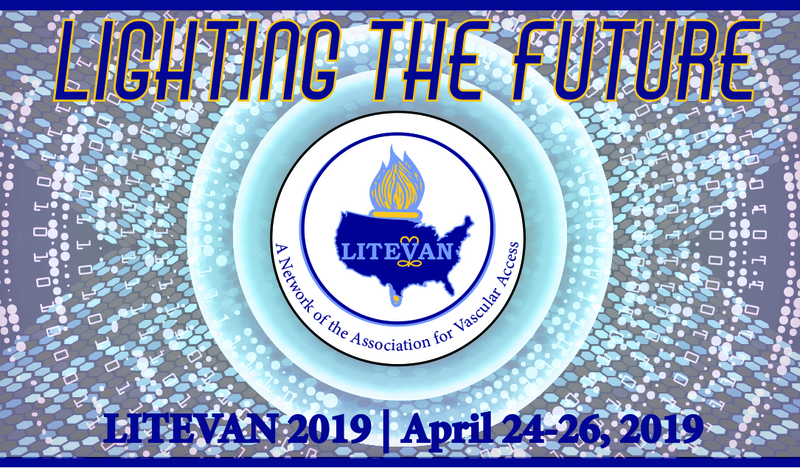 Celebrating its 47th year, LITEVAN hosts an annual educational conference to provide its members and other professionals in the vascular access and IV therapy nursing community educational sessions and networking opportunities. The conference strives to educate attendees on the latest developments and techniques in the industry while focusing on patient care and safety. Previous conference topics have included: Modern Vascular Access; CVC vs. PICC in the ICU Setting; IV Medication Administration – What Is the Right Line and Why; Making Sense of All of the Guidelines; The Impact of Superbugs on Vascular Access: Today, Tomorrow and the Future; Liability Under the ACA: What Vascular Clinicians Need to Know; and many more! The League of Intravenous Therapy Education (LITEVAN) reserves the right to determine the eligibility of any Company or Product to exhibit in the Conference and further reserves the right to reject any application and/or limit space assigned to any one Company. harmless LITEVAN. LITEVAN, Conference Sponsor and the Hotel wherein the Conference is held, and their employees, are held harmless against any and all claims of any person, arising out of facts, omissions or negligence or Exhibitor, its agents, or employees. LITEVAN reserves the right to stop or remove from the Conference any Exhibitor, or his representative, performing an act or practice when in the opinion of LITEVAN is objectionable or detracts from the dignity of the Conference or is unethical to the business purpose of the Conference. LITEVAN reserves the right to refuse admittance of exhibits or materials to the Conference until all dues and fees are paid in full. No exhibitor shall hold any social event which Buyers are invited, or entice Buyers off the Conference floor during official Conference hours. Cancellation of space and refund is subject to the following conditions: Exhibitors shall give written notice of cancellation. If written notice is received on or before Feb. 16, 2019, a refund of all monies minus a charge of $200 will be refunded. Cancellation for any reason after Feb. 16, 2019, will not be eligible for any refund. No Exhibitor or part of an exhibit will be admitted to any space until rental of that space has been paid in full. No Exhibitor may dismantle the exhibit except according to the guidelines set forth in the schedule unless prior written approval is given by LITEVAN. The Exhibitor shall properly staff the exhibit during the Conference hours. Exhibitors are liable for any damages caused to building walls, floors or columns or other Exhibitors’ property. All parts of all exhibits must be exhibited within Exhibitor’s assigned space boundaries. Aisle space is under control of LITEVAN. If you are interested in sponsoring a Keynote Speaker, please contact the LITEVAN Office at 412-244-4338 x 111 to discuss available opportunities. We hereby contract with the League of Intravenous Therapy Education Vascular Access Network (LITEVAN) for exhibition space as described herein, in conjunction with LITEVAN’s 47th Annual Educational Conference, to be held at Nemacolin Woodlands Resort & Spa in Farmington, PA. The undersigned has read the contract and agrees to abide by and be bound by said contract. Spaces confirmed are not transferable and a charge of $200 will be made for any cancellations made by the Exhibitor prior to Feb. 16, 2019. No refunds for exhibit space will be made after Feb. 16, 2019. LITEVAN will not be responsible for any expenses incurred in the provision of the exhibit. Thank you for exhibiting at LITEVAN 2019! Please be sure to print your application below before hitting the "Submit Your Application" button to retain a copy for your records.